You have a Mac. You want to be able to create documents and there are 4 options for you. Both options 3 and 4 are valid and reasonable options, for your office needs. For this particular post we will be covering iWork vs Office strictly because that is where more people will lean (Note: this is not a review, just an informative piece about which one to use when and why). I, on the other hand, think that iWork is equally powerful as Office if not more powerful. 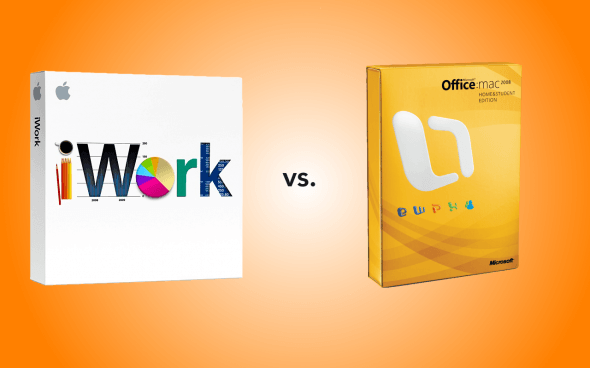 If you cannot afford both, I would recommend iWork and, optionally, LibreOffice for compatibility (although compatibility is annoying, it isn’t terrible, so LibreOffice isn’t necessary…unless you interact with over 50 Microsoft Office documents a day). I personally recommend using iWork somewhat exclusively for document/spreadsheet/presentation creation and using Office as a native solution for opening Office based files. Most iWork users are familiar with the iWork popup warning of compatibility issues. Why not just go around that problem and use Office? You can also use something like LibreOffice for the same task, but Office for Mac is very polished and you can guarantee 100% compatibility (because if you couldn’t Microsoft would be in a heap of trouble). Pages is a phenomenal publishing tool, so use Pages for any printed documents. Numbers is equivalent to Excel, so have fun randomly choosing which one to use when (Numbers does have some nice templates though). Keynote is phenomenal software. People who are used to PowerPoint will have to remember that everything you need is in the inspector. As an expert in PowerPoint, I can tell you that iWork is so much simpler, I thought I was doing something wrong for my first few presentations. That being said, Keynote is probably the best component of the iWork suite. As I said before, use Office for compatibility to make it easier on yourself. Here are some videos from both Apple and Microsoft about their respective products, so you can get an idea about them. Enjoy!